Whether you are representing the best interests of your company, or looking for the best health care plans for you and your family, we're here for you. Why Choose Plan IV ? 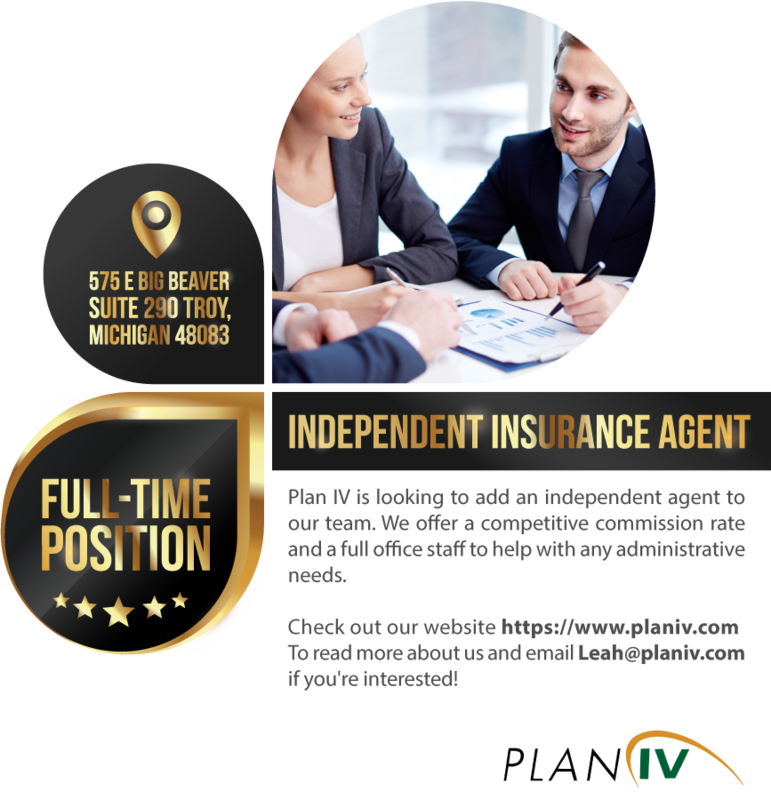 Plan IV is a health planning company that helps our clients make the right decision when it comes to insurance and other matters. For small businesses, individuals & families. So what really is the difference between us and the others guys? We have access to all the health care plans and policies that the big guys do, providing you with the options you need to make a smart decision. The real difference in Plan IV is that we work with our clients on a personal level. We want to learn more about you or your company, in order to find the right health care plan that really fits your lifestyle and business goals. People choose Plan IV because they like to deal with real people who care. We are local in Troy, Michigan. When you have questions? We're here to help you find the answers. Plan IV has been providing personal and professional services for nearly 31 years.